We take pride in working with every client to find the service offerings that will generate the maximum results for them. We believe that results come first. While we obsess over numbers and analyze information, we love what we do. We’re driven to achieve results, and believe in fighting for your business. Let's build together. Shaheen has been obsessed with the interconnected world of SEO, programming, and UX for longer than he cares to admit. On any given day (and most weekends) you can find Shaheen transfixed on a screen working on new marketing campaigns or techniques. His passion for digital marketing led him to consolidate WebUpon into the technological driven agency it is today. 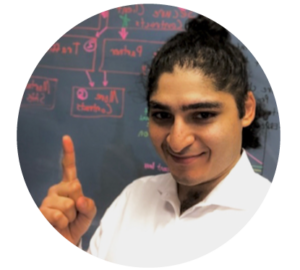 While Shaheen has an abiding love for music and cooking, he's almost exclusively focused refining WebUpon's advantages over the competition. Close friends, family, and crushing it for clients provide most of his fun. Adam is a seasoned researcher with a background in the study of user experience and user interface design. His knack for solving complex research problems with both quantitative and qualitative methods has allowed him to assist in the publication of several academic books. 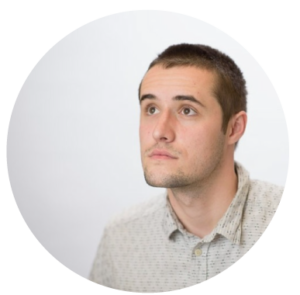 Adam's broad curiosity has driven him to develop practical skills in web development, software engineering, graphic design, data science, and laboratory methods. 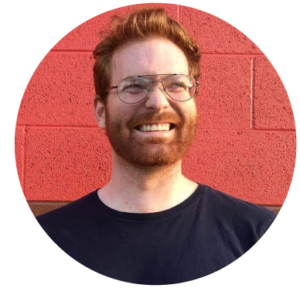 At Web Upon Adam is able to fuse his focus on data science and statistical methods with user interface design and systems design. Thomas Wells is a professional copywriter. In the words of Dolly Parton, he's doing it on purpose. Whether working as a social services advocate, community educator, or teaching high school and college students he knows how to help people find the right words. In his spare time Thomas writes scripts, moonlights as a journalist, writes fiction and poetry, & even designs board games. Thomas is responsible for leading all things copy related at Web Upon. His appetite for the well written word is only only matched by his ability to keep up with Shaheen's voracious appetite for typos and misnomers. Great results, a winning attitude, honesty, and a little elbow grease go a long way in this world. We believe in being able to look ourselves in the mirror at the end of every day and know that we fought as hard as we possibly could for our customers. 1. Leading from the front. Central to business is trust. The first pillar of trust is having the compassion to care about results, and the humility to admit when we're wrong. You'll never hear us saying, "that's not my job." We tackle the hardest problems with a winning attitude, and it's always our fault first. We're relentless about success (and kindness). As much as we want to get things done, we believe in always getting the right things done correctly the first time. We treat our customers like they're our own family. We treat our clients' customers like they're our own. Nothing we do matters if customers aren't satisfied. Results matter, but so do people. We believe that nothing is worse in life than a failure of kindness. We don't leave soldiers behind, again winning with honor is better than winning no matter what. 5. Our Word is Bond. We listen before we speak. We respect others and take criticism seriously. And we're not afraid of embarrassing ourselves. At the end of the day we're candid, honest people. Success breeds complacency. We're our own hardest critics, and we keep driving ourselves forward. We dream big. Not because we love living in the clouds, but because shooting for the stars leads to the best results. We don't create solutions in search of a problem. We constantly innovate and reach forward, but with the leanest solution. The market constantly changes. We take time out of every week to make sure we're staying on top of the latest industry trends.